Here we have something extremely rare! 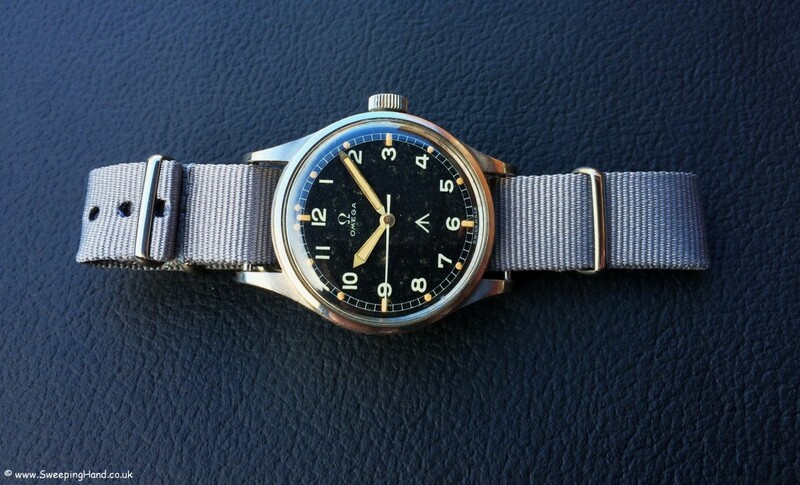 A British Military Royal Air Force issued Omega watch from 1953 in all original untouched condition. 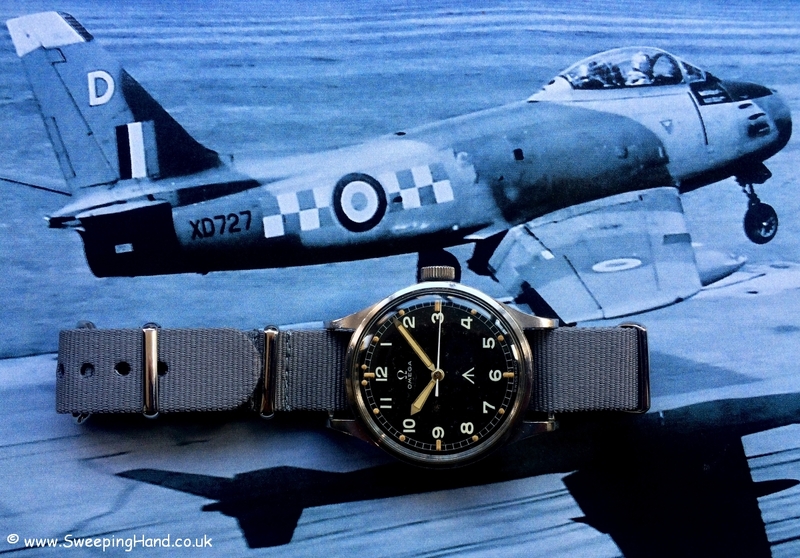 The CK2777 was designed specifically by Omega to meet stringent the specifications set out by the Ministry of Defence (MOD) under a detailed document called DEF-3 and amended in 1959 for all HM Forces military ‘issued’ timepieces. The MOD ordered a believed 5,900 through The Goldsmiths & Silversmiths Company Ltd for the RAF in 1953 (copy of order form shown) and the watches were built to a set specification and not for public release. I’ve been collecting these for 10 years and this is only the second one I’ve ever seen in the flesh in all original condition with the original radium lumed dial, hands and original ‘thin arrow’ layout. 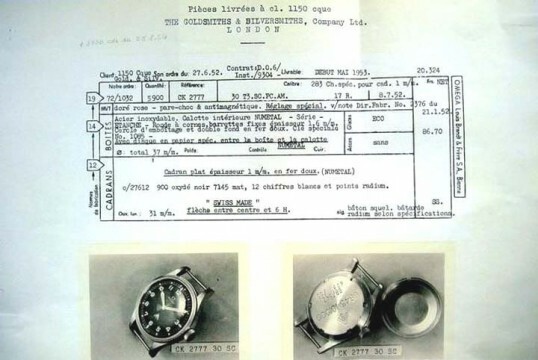 Very few of these watches exist in original state because they were all recalled by the MOD. Every thin arrow rad watch was stripped back to it’s base plate and repainted by the MOD with the addition of a ‘fat arrow’ and a T in a circle to denote ‘tritium’ lume not radium. 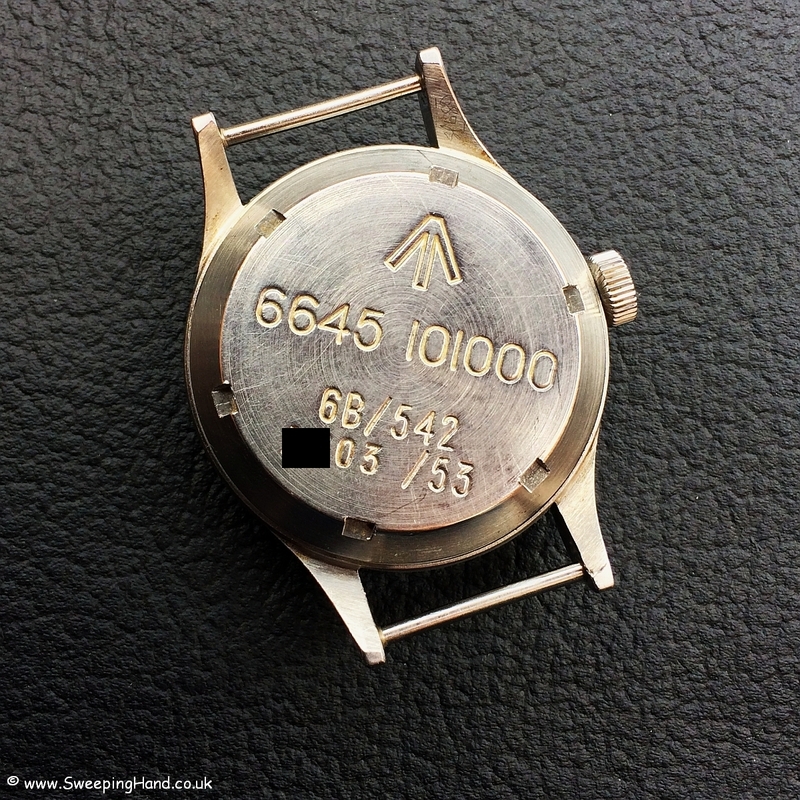 Of the small handful that escaped recall most of the dials seen so far are in a VERY bad state. 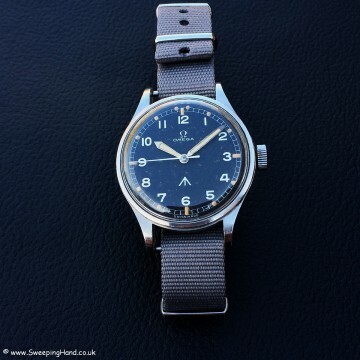 This one still has it’s original thin arrow dial with rad lume and hands, original armoured hesalite crystal with Omega logo still present, original flat brushed case with fixed solid metal lug bars and correct large non logo crown in superb condition with perfect clear military engravings on the screw in caseback. The Caliber 283 manual wind 17 jewel movement is in mint condition having just been serviced and under warranty with a correct serial 13.0m movement number and original “doohickey” still present. 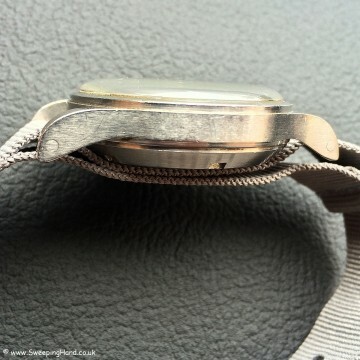 Inside the case is a “Mumetal” soft iron shell giving special protection against magnetic fields up to 900 Oersted instead of 60 for a standard antimagnetic watch. British Military issued watches in all original condition are highly sought after worldwide with the prices of Rolex & Omega versions going stratospheric over the last few years. 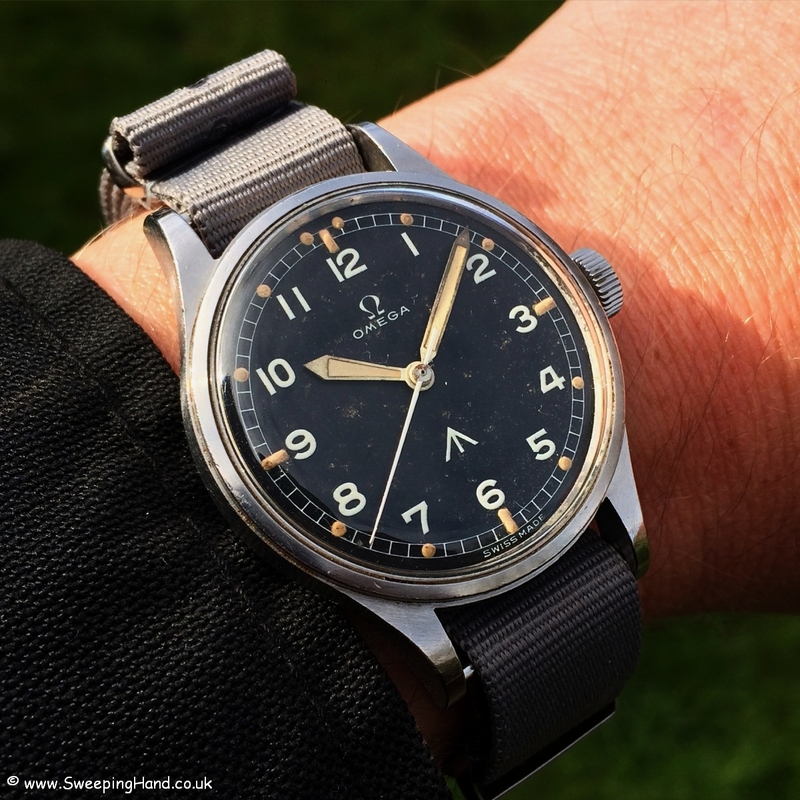 Finding an all original thin arrow rad dial 53 RAF watch in this condition is like finding a needle in a haystack and getting harder and harder. Who knows how long it will be until another surfaces? 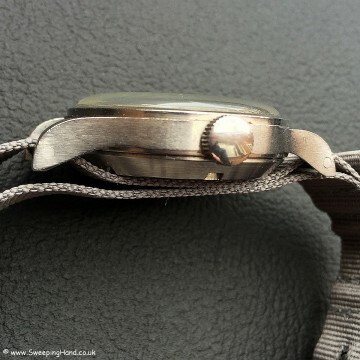 Considering offers and trades for similarly rare Rolex/Omega and other interesting military issued pieces.